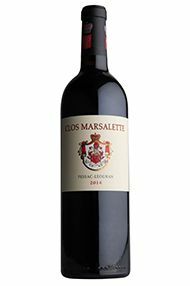 Located in Martillac, in Pessac-Léognan, Clos Marsalette is owned by Count Stephan von Neipperg and Didier Miqueu – who also own the St Emilion property Ch. Canon-la-Gaffelière, among other prestigious châteaux in the region. 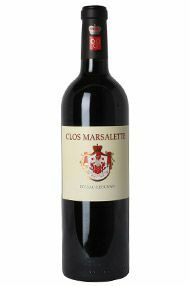 Clos Marsalette’s vineyards cover 12.3 hectares of gravelly soils deposited by the Garonne river. This is precisely what one wants from Pessac- Léognan: lots of flashy blackcurrant on the nose, with aromas including sweet spice and graphite. The palate reveals blackberry and plum fruit with silky tannins and a lovely freshness on the finish which is true to the classic 2014 vintage. Drink now to 2026.